The holiday travel season is about to start and it is so important to make sure we have our kiddos safe in the car. The holiday season is busy for everyone, and at times during it all, the worst case scenario of a car accident could happen. As moms we need to make sure we are prepared ahead of time. This means making sure that our kids are safe in our cars and in the proper carseats. We can not control those around us on the road, but we can make sure our kids are protected no matter what! Many times we are also traveling to visit family which makes things a bit crazy however it is still very important to make sure the kids are safe in the car. 1. Make sure you kids are in the right seats. While some of your relatives may think it is crazy that your 7 year old is in a 5-point harness seat, it is important to remember you are not. You have them in that seat because you know that it is the best thing for them and the safest. 2. Make sure you car seat is installed properly. You may be moving seats from one car to another, or taking them on an airplane with you, which means removing them from your car. It is important to make sure that when you are putting them into another car (and in your own) that they are installed properly. 3. 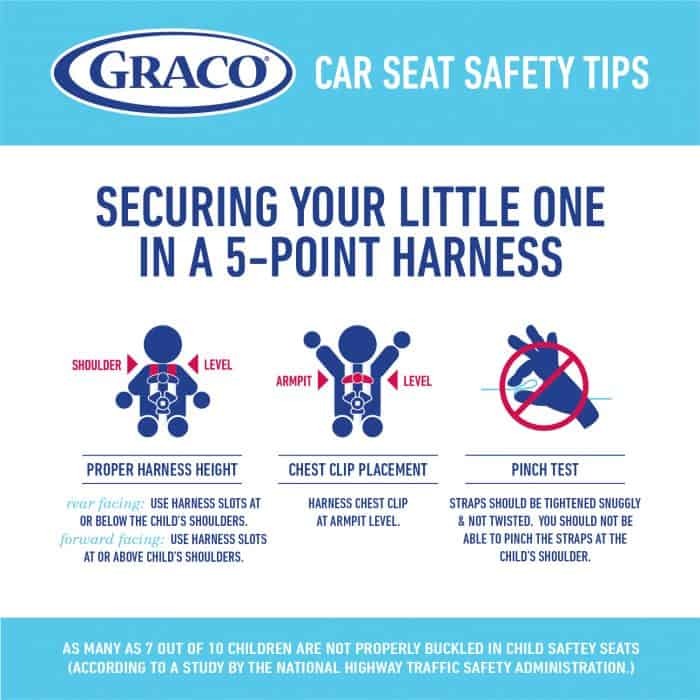 Make sure your child is properly harnessed in their car seat. This includes also making sure that you are not using jackets in the car. Jackets add to much extra space between the child and the harness, so the only thing your child should be wearing in their car seat is a sweatshirt. If you are looking for a seat that will grow with your child from birth until they are 120 pounds check out the 4Ever® 4-in-1 Car Seat featuring TrueShield Technology! 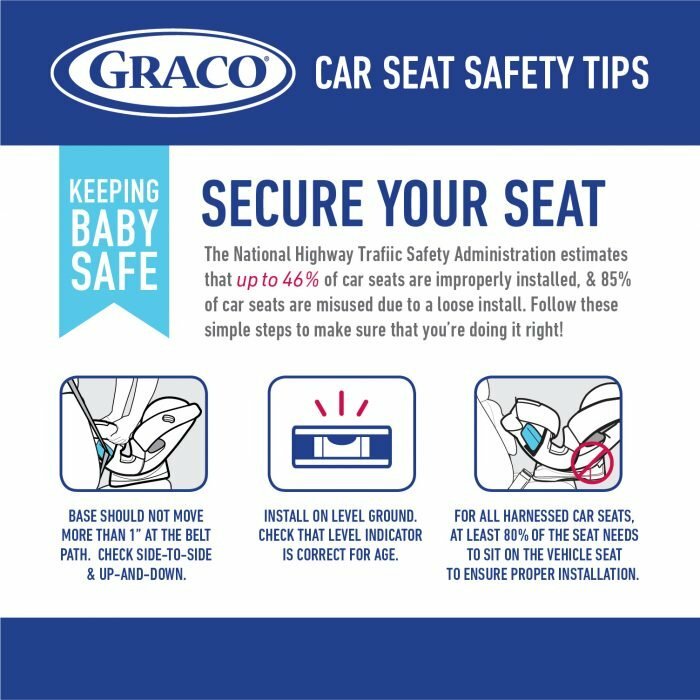 The Graco® 4Ever® 4-in-1 Car Seat featuring TrueShield Technology gives you 10 years with one car seat. 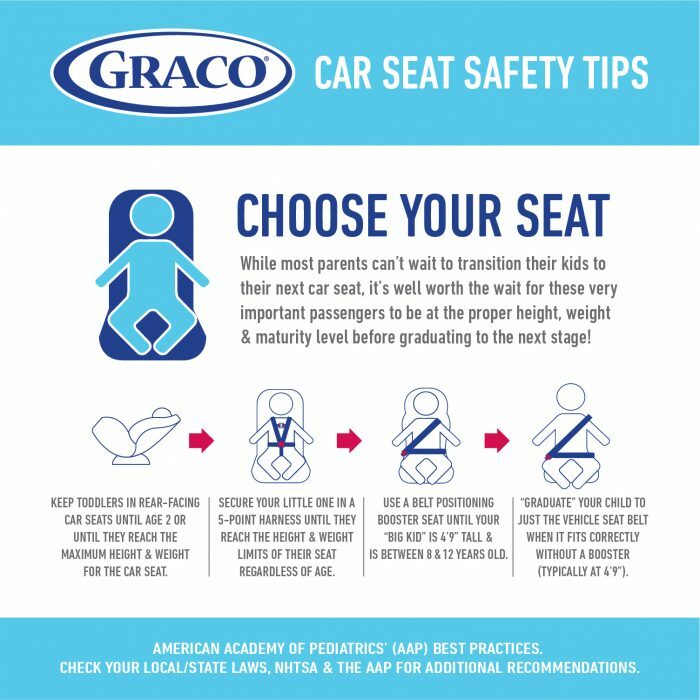 It’s comfortable for your child and convenient for you as it transitions from rear-facing infant car seat (4–40 lb) to forward-facing 5-point harness seat (22–65 lb) to highback belt-positioning booster (40–100 lb) to backless belt-positioning booster (40–120 lb). The 6-position recline keeps your child comfortable, while the InRight™ LATCH system and easy to read level indicator makes rear-facing installation easy. It’s the only seat that truly goes from baby to booster! TrueShield Technology provides advanced side impact protection from a child’s head to their hips and helps keep your child safe in the event of a side impact crash. Disclaimer: This post is sponsored by Graco. All opinions are 100% my own.